No-stop monofolding machine reel to reel. Shaft-less rewinding on rotating turret with 3 stations and automatic no-stop change. 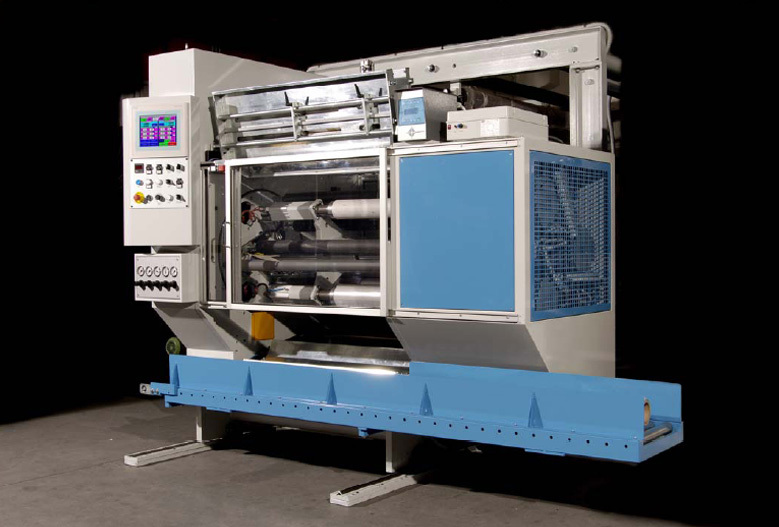 Automatic loading of empty cores and automatic unloading of finished reels.